Microsoft could be planning a hardware refresh and a bigger launch next year. New reports indicate that Microsoft plans to issue new Surface hardware in the next few months. But what exactly Microsoft has in mind remains unclear. Here’s a rundown of the rumors. Both ZDNet and Windows Central report that Microsoft is leaning toward a small hardware event this fall, where there may be “minor revisions” to the Surface lineup. 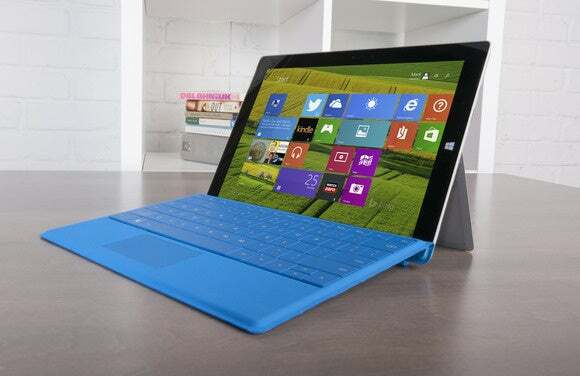 Both reports indicate, however, that the improvements will be relatively minor, such as a speed bump or increased storage within the Surface Pro 4. Other juicy rumors suggest we’ll eventually see some interesting, unique new hardware: all-in-one PCs, perhaps? 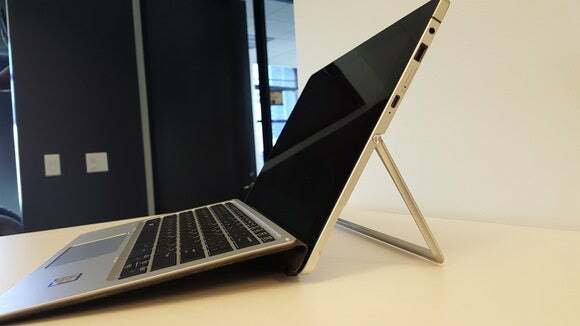 Other possibilities include a Microsoft Band 3, updated Surface Pro 4s, and perhaps even a possible lapdock to connect a phone and a PC. Why this matters: Even as we’ve seen a host of intriguing Surface hardware possibilities spring up, Microsoft sources seem to be downplaying any big splash this fall. ZDNet’s Mary Jo Foley implies this is looking more like the 2016 equivalent of Microsoft’s IFA 2015 presentation, where Microsoft showered praise on its hardware partners and offered a status report on Windows 10—and not much more. What seems to be clear is that Microsoft’s engineers are still busy redesigning the PC, but when we’ll see the fruits of those labors remains unknown. Microsoft redefined the tablet PC with the original Surface line, and then developed a more robust version of it with the Surface Book. Reports suggest that Microsoft might be developing an all-in-one or desktop Surface display, perhaps as a smaller, more consumer-friendly version of the Surface Hub. 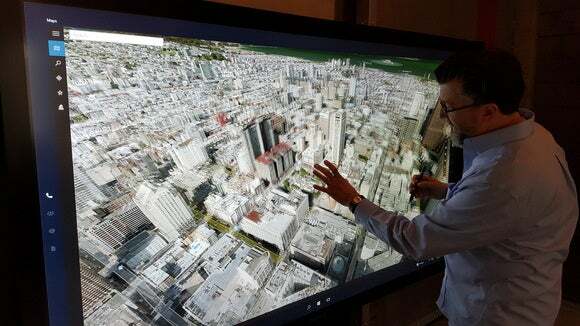 Bing Maps looks incredible on a Microsoft Surface Hub. Does Microsoft have a smaller Hub in mind for the kitchen? 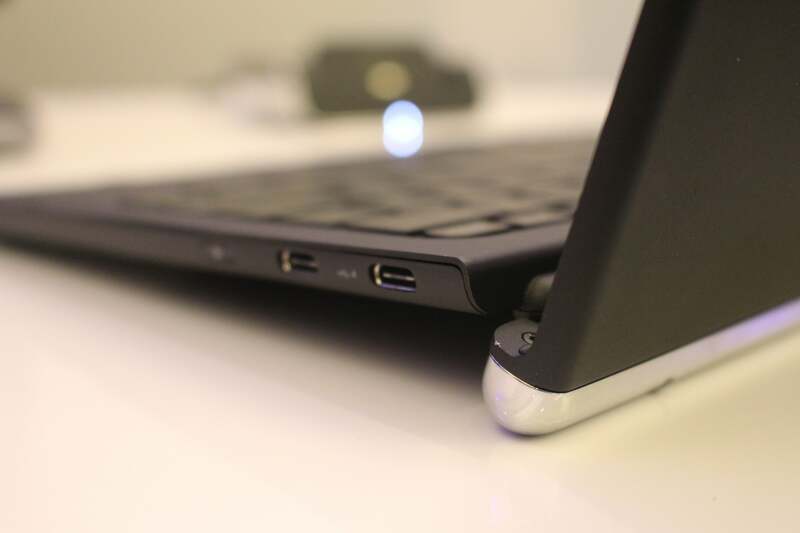 The Mobile Extender shows two USB-C ports on its right side, for data and power. A third USB-C port is intended primarily to charge the Elite x3 Windows phone. Updated Surface Pro 4: LTE? Microsoft may have launched the Surface Pro 4 with Microsoft’s Skylake chip inside, but it still lacks dedicated LTE—a feature of virtually every other Surface device to date. Given that Intel hasn’t even launched its next-generation Kaby Lake chips yet, that means that the most likely upgrade to the Surface lineup is better connectivity. A processor speed bump is possible, though we’d say that SSD storage would be more likely. The “flagship” announcement of the next Microsoft hardware briefing could turn out to be the third revision of the Microsoft Band. 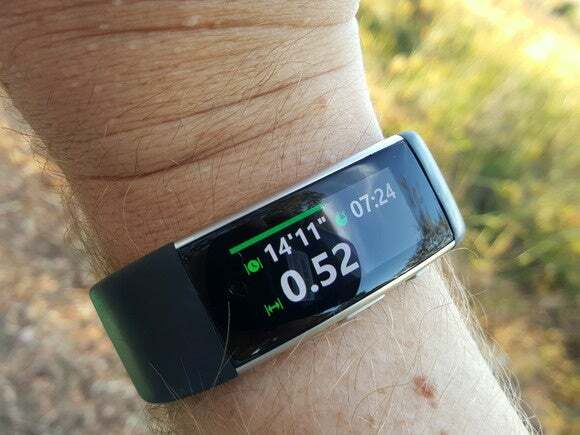 Supplies of the Band 2 have reportedly dwindled, although the Microsoft Store wasn’t reporting any supply issues when PCWorld placed a mock order for the small, medium, and large versions of the Band 2 on Monday. Microsoft’s Band 2 reportedly suffers from wear issues and battery bugs. But the real shortcoming is no overt ties to Windows 10. As others have noted, the Band is Microsoft’s only major hardware device that isn’t powered by Windows 10—yet. Microsoft is busy working on Windows 10 IoT, the umbrella name of versions of Windows 10 for embedded devices, but the current Bands are powered by optimized microcode, rather than a dedicated Windows OS. Microsoft probably hopes to change that with the Band 3. Besides that, little is known about what Microsoft plans for the Band 3. The Band 2 already straddles the linebetween a smartwatch and a robust fitness wearable, with a list of features that’s among the most robust in the industry. Possible improvements could include waterproofing to three or even five atmospheres (98 feet of pressure), better battery life—and, of course, better integration with Windows 10. Microsoft isn’t a top-tier wearable vendor, according to a recent IDC report. In fact, even the fifth-ranked vendor—a tie between BBK and Samsung—only sold 600,000 units during the first quarter. That means that Microsoft’s Band sales must have been lower than that, making the Band probably less of a priority than its billion-dollar Surface business. Still, Microsoft appears to be selling out of its available Band 2 stock. “Supplies of Microsoft Band are currently limited, so we encourage customers to visit microsoftstore.com for all device needs,” a Microsoft spokeswoman said in an email. Are we still talking about the Surface Phone? Microsoft’s gone quiet on the subject of the Surface Phone, and for good reason. If Microsoft can’t find an X86-based chip to power the phone, then the idea of a Surface phone that could run legacy Win32 apps as well as the newer UWP apps seems to have died. As we’ve noted before, a “Surface” phone could certainly run on an ARM processor—as they do now—though that would make it “just” another Windows phone, rather than something truly special. No more Surface 3s...or Surface 4s? The Surface 3’s performance may have been comparatively lousy, but its price point is attractive. Microsoft’s Surface 3 was built upon Intel’s now almost-discontinued Atom platform, which means Microsoft would have to choose another processor for the rumored Surface phone. Intel does have one Atom processor in development for tablets, known as Apollo Lake, which could be used as the platform for an upcoming Surface 4. An Atom-based Surface 4 looks unlikely, given the relatively poor performance of Atom tablets—like the Chuwi HiBook — versus newer Core m tablets like the Huawei MateBook and the HP Elite x2. 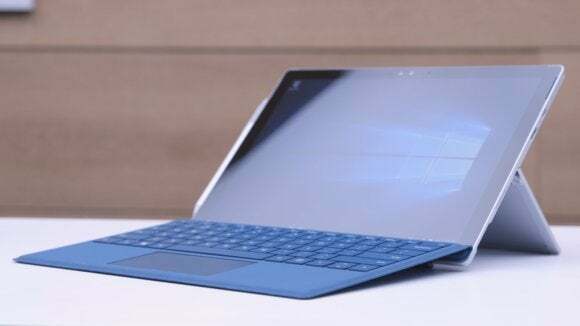 The question is whether Microsoft plans to offer a cheaper Surface tablet—the Surface 3 is available at $699—or ask consumers to jump to Core m-based Surface Pro 4 tablets at $899 and above. At this point, we don’t have the answer. Third-party Surface clones like the HP Elite x2 have provided some solid alternatives to Microsoft’s Surface lineup. Windows Central still seems to think that we’ll see a glut of Surface hardware in 2017, though ZDNet’s Foley says those rumors have dried up. 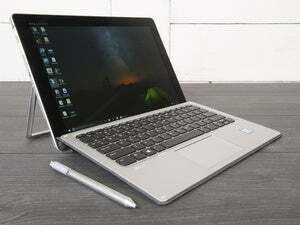 In any case, we’ve already seen quite a few “Surface” convertible tablets debut—just not from Microsoft. Remember that a year ago, Microsoft spent its IFA budget praising its hardware partners. If Microsoft does hold a fall hardware update, expect convertible manufacturers like HP, Lenovo, and others to feature prominently.